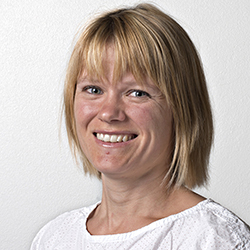 Ingrid Måge has worked as a scientist at Nofima since 2008, within the field of chemometrics and multivariate data analysis. She earned her PhD at Nofima and the Norwegian University of Life Sciences (UMB) in 2006, and worked as a chemometrician in CAMO Software for two years before she came back to Nofima. Her main research topics has been multi-block modelling, for both regression and explorative analysis.